This item is so much cuter than the picture! Guaranteed or your money back. 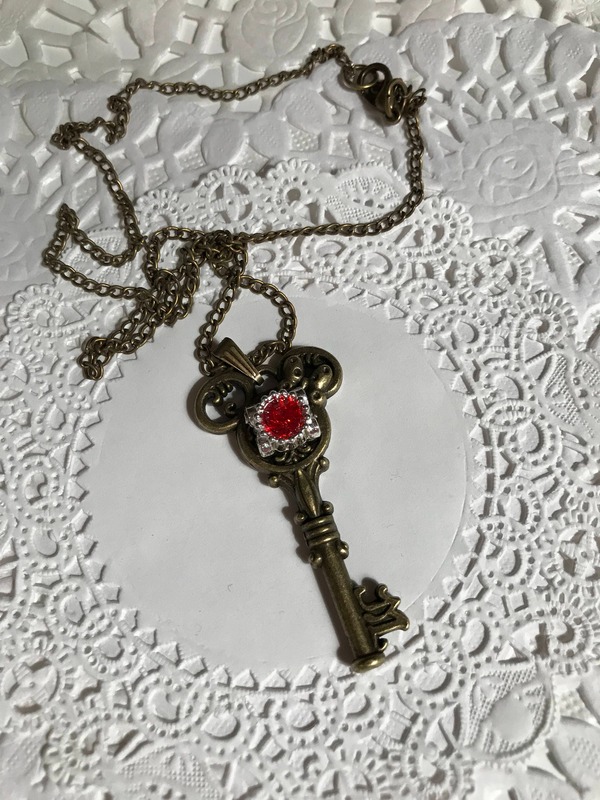 I am including a new line in my shop: Key Necklaces. The key necklaces are newly made and will be adorable when worn. 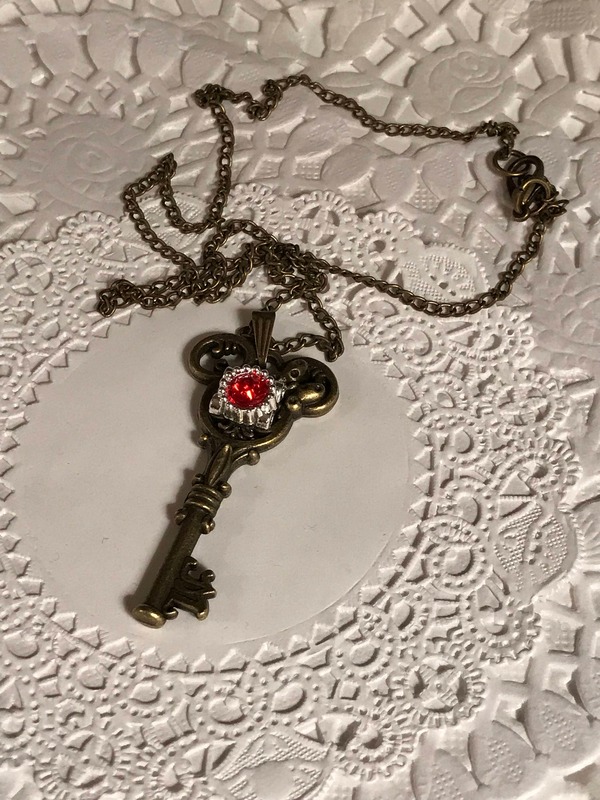 This key necklace we are calling a key to the kingdom (That magic kingdom most of us know so well. )The key is almost 2 inches long and is 3/4 of an inch in size at it's widest point. It is an antique bronze tone key embellished with wonderful sparkling square glass rhinestone in beautiful red and silver tone setting. There is s little M at the bottom of the key for your hidden Minnie and a butterfly in the right hand corner of the head. So I guess this one is Minnie Mouse and Not Mickey. 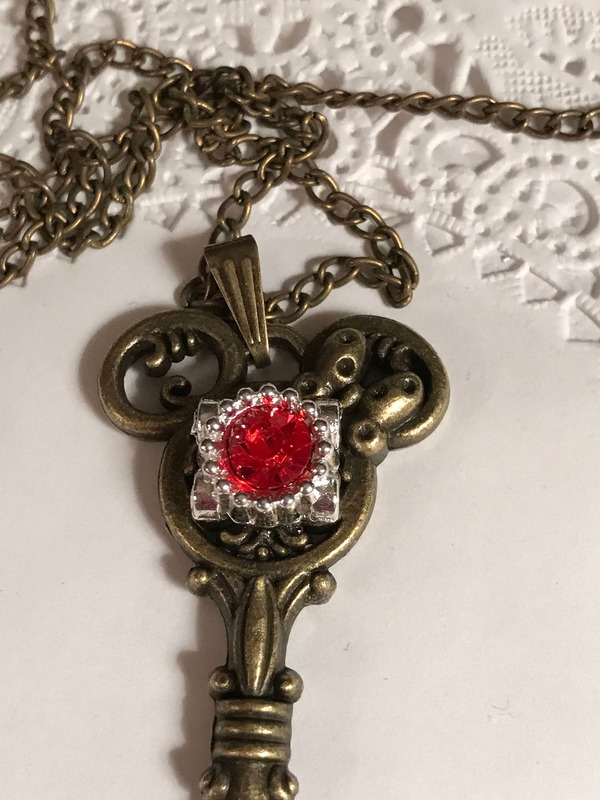 This pretty mouse key with the red rhinestone face dangles from a 20 inch antique finish bronze chain. It is possible that the chain will vary from what I have available but trust that it will look beautiful with the key pendant. 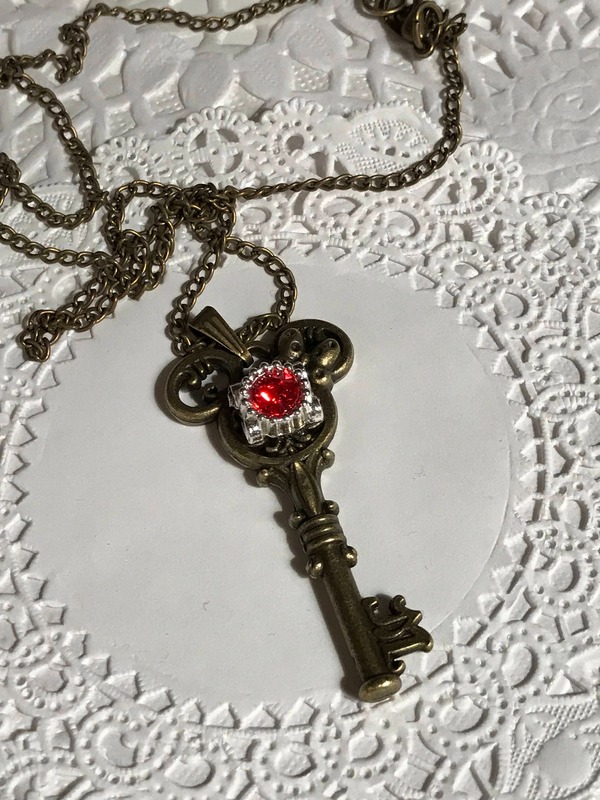 This listing is for one key pendant. Buy it for yourself or give it as a gift. Christmas will be here before we know it! 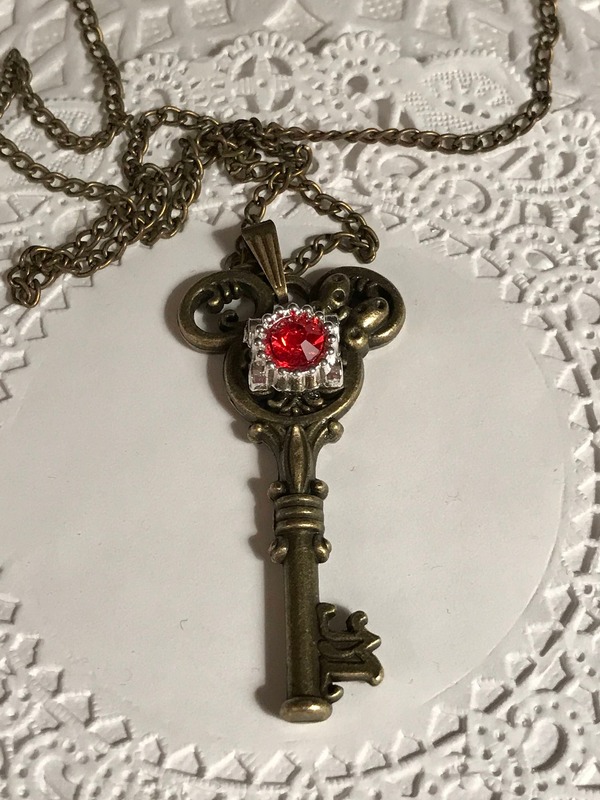 You could purchase the mouse key for your favorite Disney fan. It would be perfect to wear to your next visit to the Magic kingdom or Disney world. The keys come in lots of colors. Watch for your favorite or make a request. I will make it if I can. CAUTION: Not recommended for children 13 years and under. Certain components may contain trace amounts of lead. Do not place item in mouth or ingest.